Forget Rock Star and Ninja – How About Warewolf? The labels “rock star” and “ninja” are overused in software development. After all, even the late Chris Farley was a ninja but he couldn’t even spell CSS. 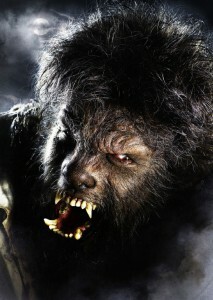 I’m suggesting a new label: warewolf. Hear me out. At the start of a complicated project, a developer usually starts out clean shaven and proper. 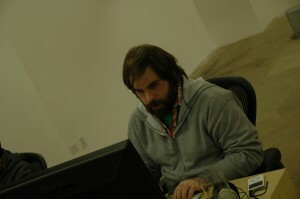 Here is Chad, our lead software engineer, at the start of a long project. After a few weeks, we start to see Chad change. At first, just a little. He grows some more facial hair and becomes a little more grouchy. After 6 weeks of long days, it’s apparent that the transformation is well on its way, as evident in the following photo (taken 6 weeks into our massive push to launch into private beta in March 2008). As you can imagine, after 8 weeks, we typically decide that the product is ready to launch so that Chad can shave and return to normal. We’re pretty good at keeping our major development cycles under 8 weeks.